The second polish I'd like to show you is ALIQUID Lacquer Nobody Doesn't Like Sara Lee! This is a black linear holographic polish with gold and pink flecks. 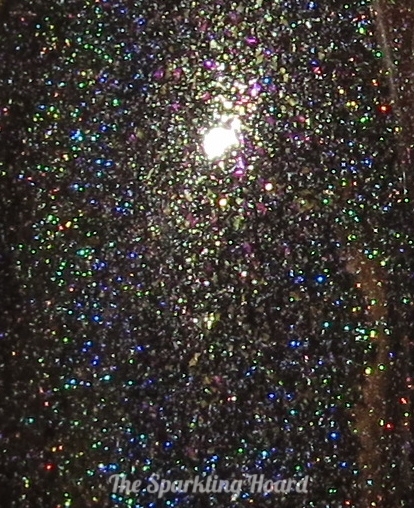 It's not the tightest/strongest rainbow (the more holographic pigment you add, the more gray your black will become), but it is quite magical and lovely. I love catching the little sparks of gold and pink among the rainbow! The formula was nice and while two coats should be sufficient, I did three to be safe (macro is so unforgiving!). Dry time was average. I really adore this color and the name makes me smile (you'll see why if you continue reading!). Look at those sparks of pink and gold! Check out this video to see the polish in action! The Inspiration Behind Nobody Doesn't Like Sara Lee! As you can see, sweet Sara Lee arrived at the farm in a terribly obese state. 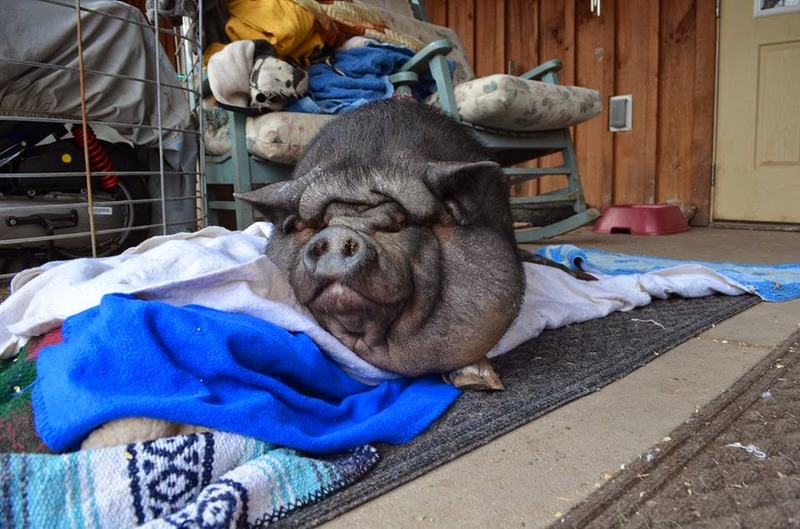 Her owner had passed away three years earlier, leaving her in the care of relatives who had no idea how to care for a pig. As a result, she gained an incredible amount of weight. Many people think that pigs should be fat and that a fat pig=a healthy pig, but they really aren't healthy when they get too big. 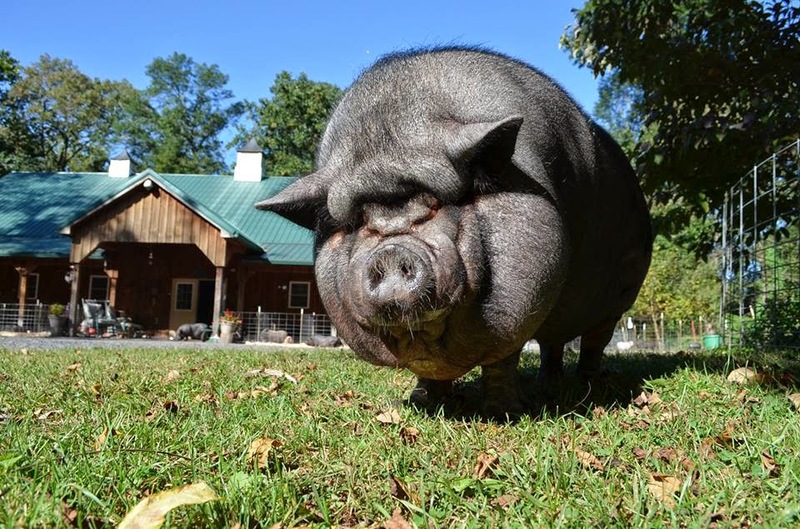 Thankfully, Sara Lee found herself at Ross Mill, where they are highly experienced in helping pigs lose weight. Check out that progress! These pics were taken in September 2013, January 2014, and April 2014. Facebook fans were treated to many adorable photos of Sara Lee, and she quickly became one of the most loved pigs at the farm. As the famous baked goods slogan goes, nobody doesn't like Sara Lee! Don't you just want to pinch those chubby, uhh, jowls?! 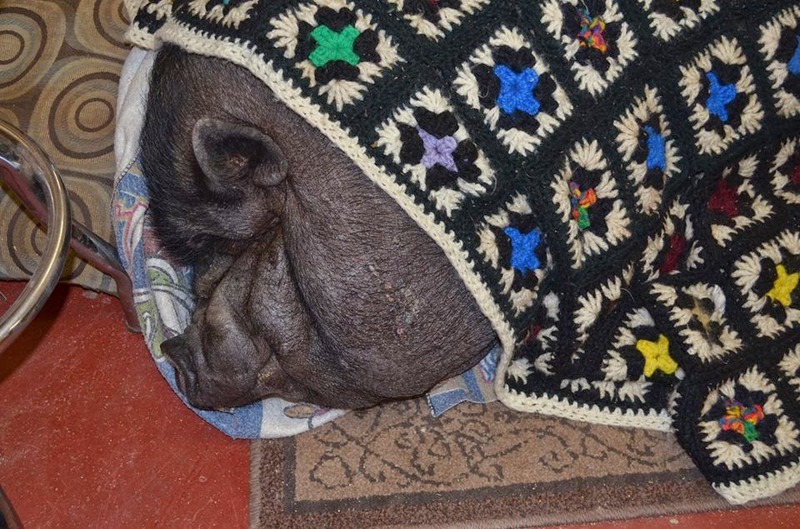 One of her best piggy friends is her snuggle buddy, Wilbur Devlin, a dapper old gentleman who often wears a coat! Today, Sara Lee isn't quite at her goal weight, but she is definitely smaller, healthier, and more active! In fact, she's now healthy enough to be adopted to someone committed to helping her reach her ideal weight. I really hope that this adorable girl finds her family very soon! 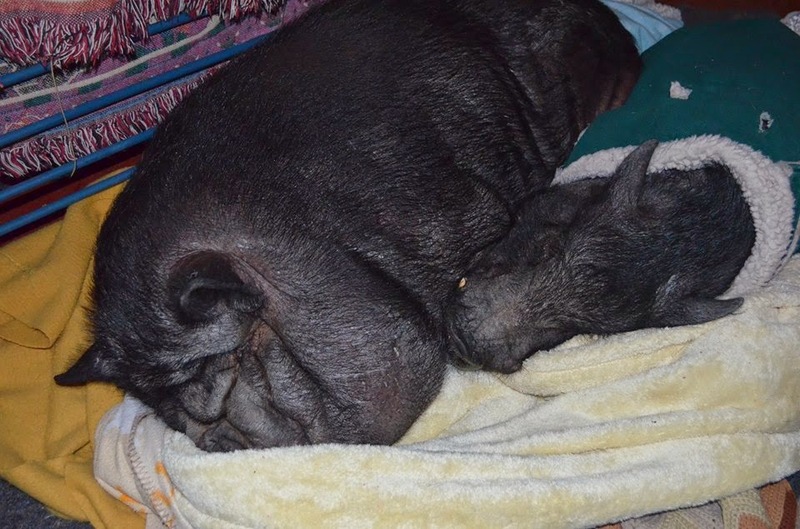 Want to see more cute pigs and learn about ways to help them? Be sure to Like Ross Mill Farm & Piggy Camp and Pig Placement Network on Facebook! To be kept updated on the auction, Like The Sparkling Hoard! And it sure wouldn't hurt to Like the wonderful ALIQUID Lacquer, either! Auction bottle generously donated by ALIQUID Lacquer. Swatch bottle purchased by me.